I hear you. Of course I am an avid Kindle user, but I still tend to buy books and subscribed to Powell’s Indiespensables a few months ago. What wonderful memories that stamped card must have brought you. A year or so ago I discovered that I could my library also had an e-library. Once I figured out the software on my iPad, I’ve never been without a book. I often find I have too many and can’t read them all. And it has saved me a bomb! Yet I don’t think I’ve borrowed a physical book from the library in over a decade. Sad though that the book has only been checked out so few times, even in a small library. A friend of mine who lives in a small (wine) village adores her local library. She’s an avid reader, and the librarian appreciates that, and will get her anything she wants to read! 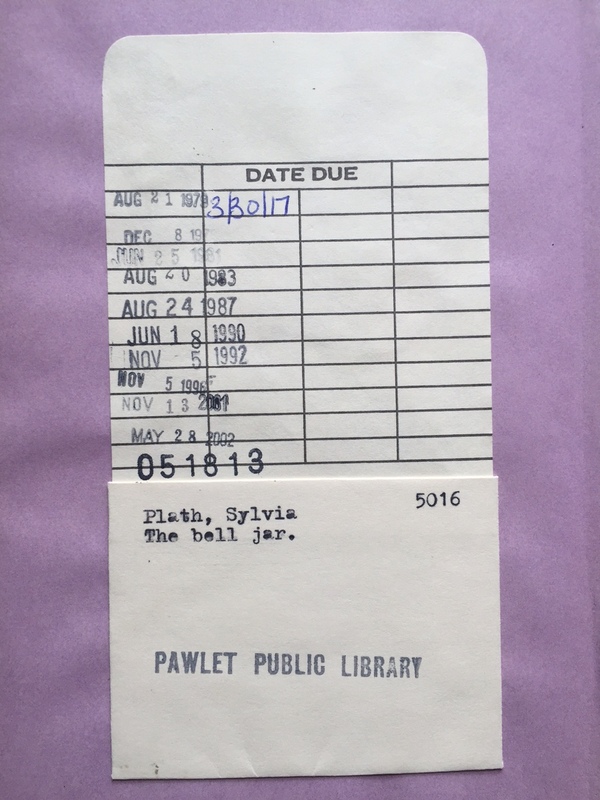 I do however have a copy of The Bell Jar I could have sent you! I took a course at university – “American History and Literature” – and was introduced to Sylvia Plath and Bernard Malamud and a bunch of other writers that we just didn’t otherwise study here in NZ. (Or we didn’t in the 1970s and 80s.) I only did the Literature half of the course because I wanted the History part. I’m glad I did now.